Search prehistoric Earth for quirky dinosaurs in each scene! Can you find a reclining dinosaur, a Jurassic firefly, or a prehistoric pinball machine? 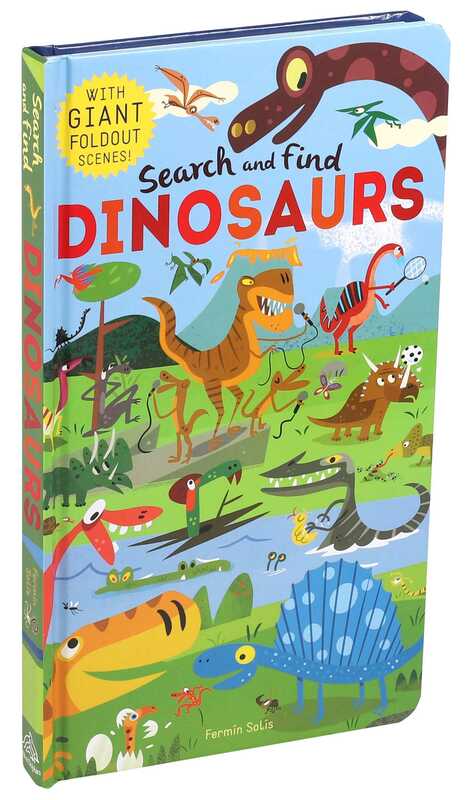 In Search and Find: Dinosaurs, each busy foldout scene is filled with silly and unexpected things to find—along with your favorite dinosaurs! Each colorful spread includes a key with amusing items to find in each scene. Whether it’s in the sky, in a swamp, or near an erupting volcano, kids will be entertained looking for each item included on the key—along with all of the other characters and objects that fill the scenes!